A whole week full of meetings and discussions keeps HySafe busy between September 17 and 21 on the premises of the Health and Safety Executive near Buxton (Derbyshire, UK). It started with a preparatory meeting of the Scientific Committee of the International Conference on Hydrogen Safety which will be held next year in Adelaide (Australia); see the separate post on this. 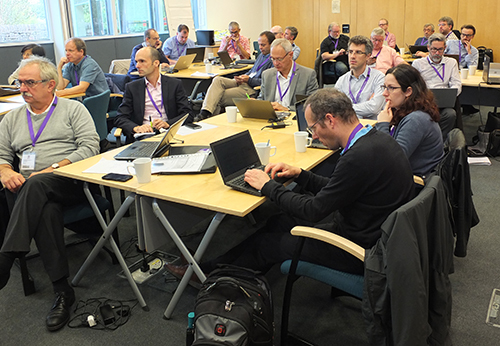 Tuesday morning (September 18) was devoted to a joint session of HySafe and the IPHE on the safety of the use of hydrogen vehicles or hydrogen transport on tunnels. While there are no problems in some countries, this is not so everywhere. In some cases (like the USA) the rules are not even uniform but depend on the state or local authorities. There is still some work ahead, but not so much on the technical side. During the afternoon a meeting of the PRESLHY project took place; HySafe is a partner in this project which deals with the safety of liquid hydrogen. While liquid hydrogen is handled safety in large amounts in the industry there are still open questions which merit more research. One of them is the behaviour of solid oxygen in liquid hydrogen. It is known that this mixture may react detonatively, but experimental research on this is rare, and this is a topic on which we need to know more. 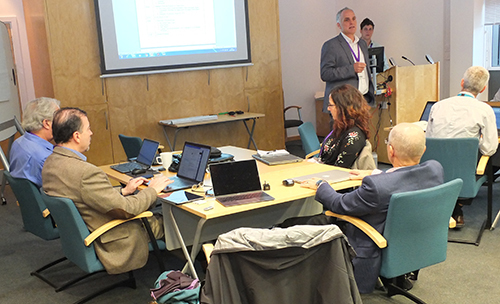 Where we know already a lot and where we need to find out more was the topic of the Research Priorities Workshop (RPW) held on September 19 and 20. This biannual event is held by HySafe to discuss the strong and weak points and what to do next. The General Assembly of the HySafe members will be held in September 21st. Elections of board members will be part of the program.